On this Memorial Day, I am grateful for the flag that I gladly salute. I can recall school days as a young boy and starting each day by standing with classmates as we all recited the Pledge of Allegiance as we saluted the Flag with hands over our hearts. It’s that last few words that grab me. Liberty and Justice for all! We are to be committed, under that flag of 50 stars and thirteen stripes to seek liberty and justice FOR ALL! While I fully and completely understand the right for any person to not stand and honor this Grand Old Flag, I would simply ask that if they enjoy the freedoms that it stands for, stand for it as well. This great land of freedom is still the greatest country on earth. She’s far from perfect, and she’s seen better days, but she offers us the freedom to worship as we are please, speak as we please and live as we please. My uncle and best man in my wedding landed as one of the first marines on D-Day. And thousands more fought and are still fighting to offer me the freedoms that I enjoy. I still tear up when the Star Spangled Banner is sung, when God Bless America is sung at the seventh inning, and when a soldier’s family greets them as they return home. I realize this is a bit old school, but on this day, wouldn’t it be wonderful if our hearts were filled with gratitude for the liberties and justice this land still stands for? The Land of the Free and the Home of the Brave! If you do not want to stand for this Flag, I urge you to reconsider. 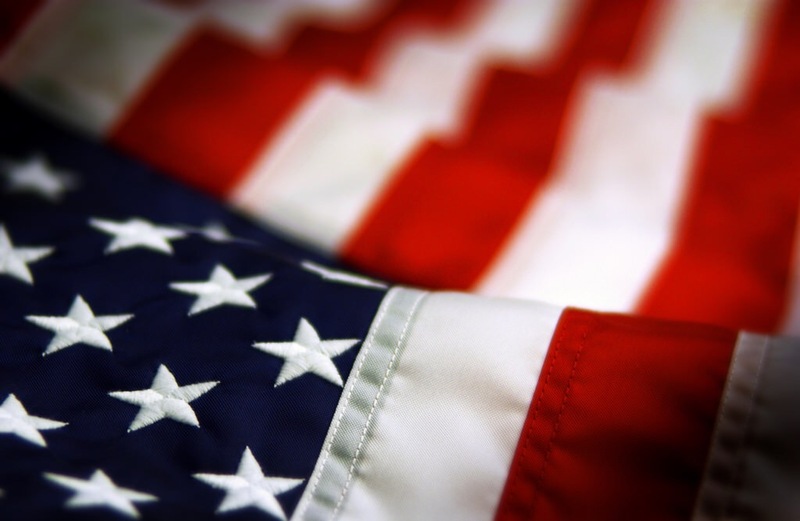 It is far more than just red, white and blue fabric. It represents the ideals of a land that continues to provide peaceful borders, freedom and justice for all. Let us each celebrate that Flag and the men and women that have fought and died for it!